I’m am definitely not a chef but I love making new easy keto creations. This morning I finished up playing basketball for 3 hours and decided I need to refuel. Typically I enjoy exercising fasted and continuing to fast but today I played a little longer than usual and knew that getting enough calories in was important for recovery. 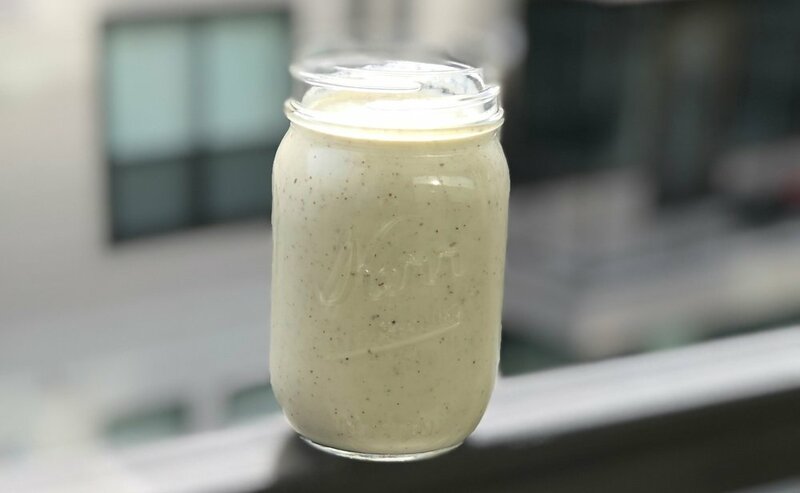 Shakes are a great way to get more calories in, especially if you are experiencing satiety or fullness on a keto diet. They are a little easier to get down than food. Another pro to shakes is you can easily adjust their calorie count. For this shake, I added almond butter to get more calories in. If I wanted calories lower, I could have removed it. If I wanted them higher, I could have added something like MCT oil or coconut cream. Easy to adjust. I also interestingly chose collagen protein because I really enjoy the benefits it can provide on gut health. While it may not be the best protein for building muscle, it provides so many other health benefits such as helping to restore gut lining. This is why I supplement with it accordingly. I added a few eggs to the side of this meal to increase my intake of more muscle building proteins! If you want to learn more about collagen protein, check out this article. Anyway, this smoothie was pretty delicious. Check out the recipe and macros below!